• A study of the primordial figure of the Great Goddess and her continued worship through time as shown by the myths, shrines, and sanctuaries around the world that honor this powerful symbol of creation. • A noted historian on pre-Christian societies provides an extensive worldwide listing of sites and sanctuaries associated with goddess worship. • Explores goddess worship in cultures around the world, including Native American, Egyptian, Indian, and Oriental civilizations. • Demonstrates that although her worship has sometimes been forced underground it has never disappeared. In ancient Babylon she was Anat, in Egypt, Isis and Hathor, Dana in Celtic Ireland, Rhea and Demeter in Greece, and in India, Anapurna the Provider. She is the Great Goddess, the Goddess of Beginnings, the symbol of Earth and the giver of life, the Vast Mother, who represents all the powers and mysteries of creation for early humanity. Shifting her solar association onto masculine deities and blackening those of her symbols that, like the serpent, could not be assimilated, patriarchal societies forced the preeminent power of the feminine into an obscure and subservient position. Yet, as shown by noted scholar Jean Markale, the Goddess did not simply disappear when her position was usurped, and the power she represents has been the source of continuous religious devotion from ancient times through the Middle Ages up to the present day. In looking at the plethora of myths, sites, and sanctuaries devoted to this powerful figure, The Great Goddess provides abundant evidence of the extraordinary permanence of her worship--even at the heart of those religions that tried to destroy her. "Markale provides a breathtakingly sweeping overview of the divine feminine. Written with fervor and panache, Markale's very readable book is an extraordinary and challenging treatment of the subject." "He repeatedly compares the imagery of the Virgin Mary to the imagery of goddess worship as far back as we can trace Her. All in all, this is a good book. It has a great deal of interesting information about the history of Goddess imagery." "In this comprehensive work, Markale traces beliefs and practices from ancient times to the present. 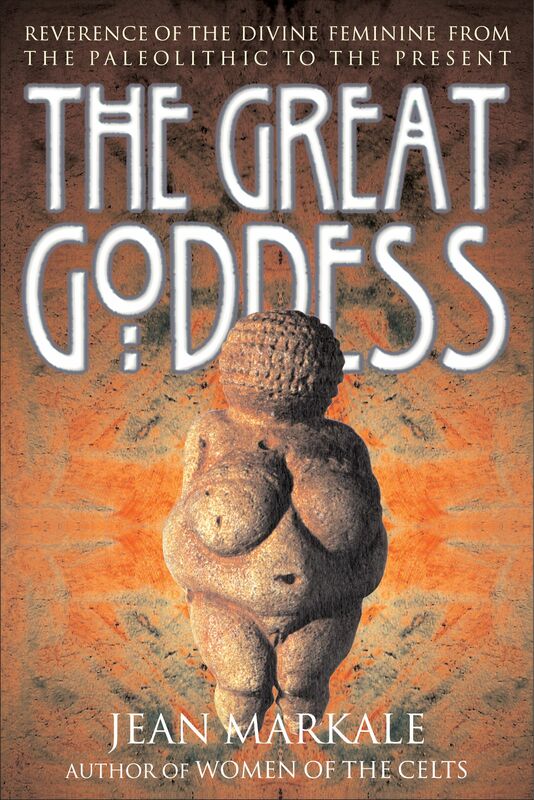 For those who wish to learn more of the Great Goddess, reviled yet embraced by religions of the world, this book is a general overview offering excellent, readable information." "This is an important book, adding well-researched and thoughtful information to the goddess literature. I recommend it."